Whether you’re a gardener or a plant enthusiast that can’t keep anything green alive, Durham Garden Center is for you! We love having a locally owned, plant-focused garden center like Durham Garden Center just down the road. They offer everything from houseplants to annuals and perennials to fertilizers and pottery and everything else in between for your garden. Not only are they super friendly and helpful when you pop in, they also host educational workshops and many of them are FREE! Like Preparing Your Garden for Spring, Container Gardening, and Shade Gardening. Check out their site for a complete list of workshops! 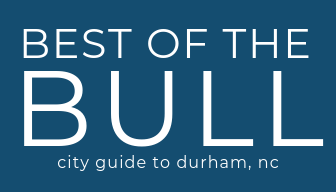 BONUS: Get 10% off your purchase with your Shop Durham card!